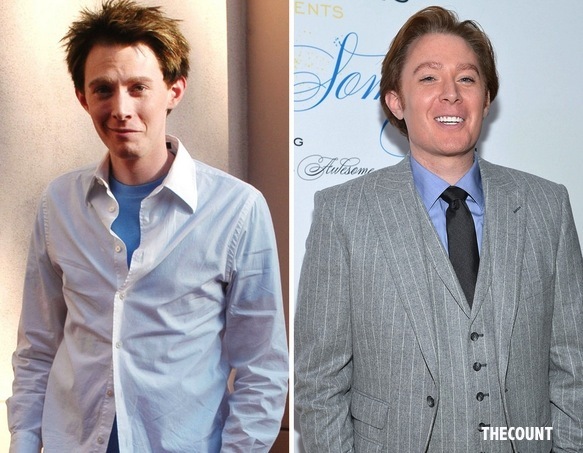 Clay Aiken seems like a super nice guy but I still have to ask, what the hell did he do to his face? it looks all plastic! Oh! That! Selma Hayek is one hot Mamacita and you would figure she’d have no problem showing off her assets in a film, considering the fact that she’s made a living out of doing just that. But now Miss Hayek is coming out to disown her natural on-screen sexual prowess. With last evening’s crop of whinges and tidings of more rotten news for which you seem to treat your mother like a cess-pit, I feel it is time to come off my perch. It is obvious that none of you has the faintest notion of the bitter disappointment each of you has in your own way dished out to us. We are seeing the miserable death throes of the fourth of your collective marriages at the same time we see the advent of a fifth. 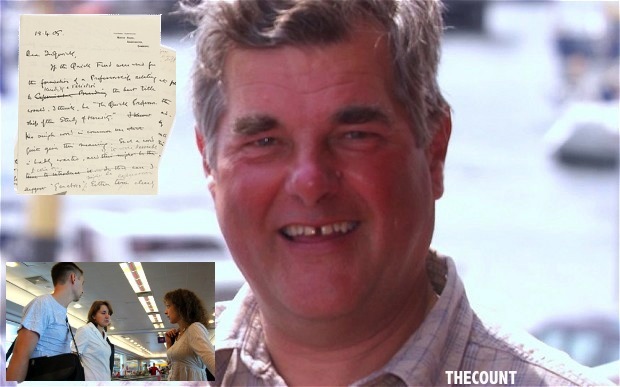 We are constantly regaled with chapter and verse of the happy, successful lives of the families of our friends and relatives and being asked of news of our own children and grandchildren. I wonder if you realise how we feel — we have nothing to say which reflects any credit on you or us. We don’t ask for your sympathy or understanding — Mum and I have been used to taking our own misfortunes on the chin, and making our own effort to bash our little paths through life without being a burden to others. Having done our best — probably misguidedly — to provide for our children, we naturally hoped to see them in turn take up their own banners and provide happy and stable homes for their own children. Fulfilling careers based on your educations would have helped — but as yet none of you is what I would confidently term properly self-supporting. Which of you, with or without a spouse, can support your families, finance your home and provide a pension for your old age? Each of you is well able to earn a comfortable living and provide for your children, yet each of you has contrived to avoid even moderate achievement. Far from your children being able to rely on your provision, they are faced with needing to survive their introduction to life with you as parents. Talk about “home for the hostilities,” something tells me these kids had it coming. United States crushed Ireland, 5-0, thanks to a superduper hat trick performed by none other than Olympic gold, Alex Morgan. “We’ve been waiting and itching to get out there on the field, I think (this) showed that we wanted to get out there and play. I just wanted to keep taking shots and they kept going my way. Abby and everyone just kept saying ‘Shoot! Shoot! It’s a slick surface!’ So I did. I was feeling it.” Alex said after the victory. Alex scored the first time at the 24th minute mark, then again at 34 minutes, then again at 44 minutes. Sydney Leroux added two more goals to boost the U.S. to the victory and 4-0-2 for the season. “Every time she touched the ball something dangerous happened,” Acting U.S. coach Jill Ellis said. A Utah truck driver is suing FedEx because he says the shipping company fired him over his thick Russian accent. 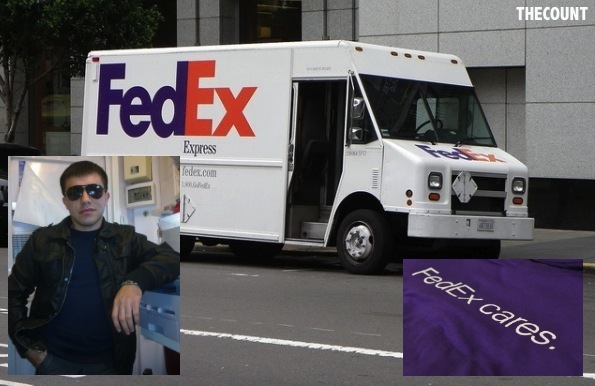 Driver, Ismail Aliyev, has filed a federal discrimination lawsuit against Memphis Tennessee-based FedEx and a long-haul contractor, the company that did the firing. Ismail said he offered to meet with corporate brass to demonstrate his English speaking ability, but it was no use he was fired anyway. It all started when Ismail was driving along a stretch of Utah highway when he came upon a Way Station. The Way Station agent actually issued a warning to FedEx because of Ismail’s Russian accent citing his ability to communicate. “FedEx just decided they didn’t want to deal with him, or even talk to him,” said Ismail’s lawyer. The lawsuit seeks an unspecified amount for lost wages and punitive damages. SO SOON? Halle Berry And Ex Settle! Are you sure you guys want to settle this soon? Heck, I was just getting into this! Seriously though, attorneys for Halle Berry and her ex-man and baby daddy have apparently settled in court after that horrendous Thanksgiving day fight. Aubry obtained a temporary restraining order against Martinez. The former-model and Berry have been at war over custody of their 4-year-old daughter. Blair Berk, an attorney for Berry, and Shawn Holley, who represents Aubry, released a statement after Thursday’s hearing that said the two sides had reached an amicable agreement. 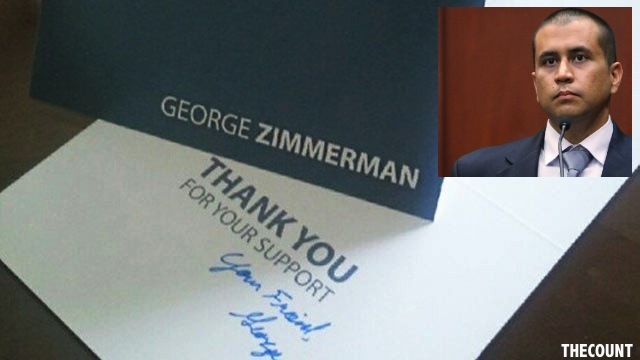 No details were released, and the attorneys declined to answer questions. 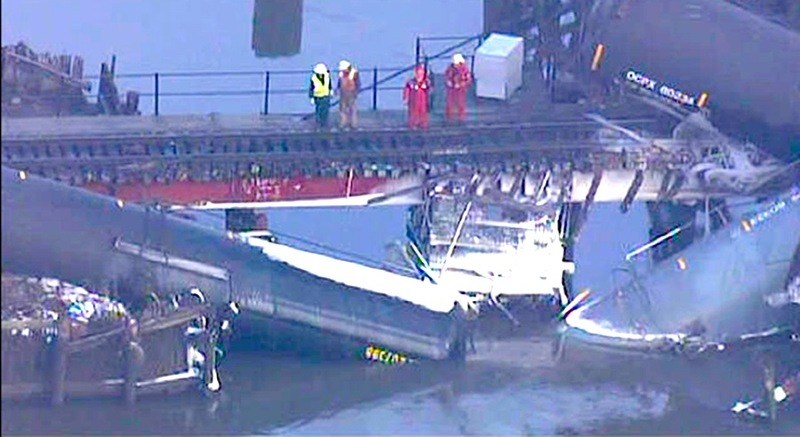 (CNN) — A bridge failed in Paulsboro, New Jersey, on Friday, sending several train cars — at least one leaking a toxic chemical — crashing into a creek near the Delaware River. 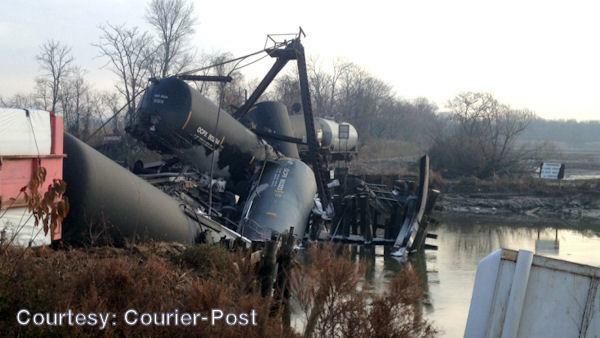 Four of the six cars involved in the crash were carrying the chemical — a highly toxic and flammable substance called vinyl chloride — which leaked from at least one tank car into Mantua Creek, New Jersey emergency and environmental officials said. No serious injuries were reported, but 18 people with respiratory issues were sent to a hospital as a precaution, officials said. Vinyl chloride is used to make plastic and vinyl products, including PVC pipes, according to the Environmental Protection Agency, which has labeled the chemical a Group A human carcinogen. “Short-term exposure to high levels of vinyl chloride in air has resulted in central nervous system effects, such as dizziness, drowsiness, and headaches,” the EPA says on its website. There’s probably going to be one car that’s going to be a very delicate move. “It’s a time for caution,” he said, warning residents to listen for announcements as the emergency is assessed. Burzichelli described the bridge as “a very old structure” that underwent “a major rebuild” two years ago. Three “major trains” go across the bridge each day, he said. A representative for Underwood Memorial Hospital told CNN that the hospital has treated 18 patients with respiratory issues — mostly for sore throats. Also, a team from the National Transportation Safety Board, the nation’s top transportation investigator, was on its way to the scene, the agency said. Thanksgiving marked 31 years since actress Natalie Wood was found dead, drowned on a weekend boat trip traveling with her then husband Robert Wagner and Wagner’s buddy, none other than, Christopher Walken. Wood was 43. Natalie is playfully pictured here at the age of 31. She was in a photo shoot for Life magazine and these pictures were the outtakes.